Finished Sep 2018. Final score: 3 / 5. I decided to give this book another chance since it was recommended to me by someone who loved it. Also, the book is public domain and is thus free / really cheap. I was forced to read this book for a class in school. I don't remember anything about it except hating it. This book is a timeless classic. Way back in the early 90s, I was forced to read 3 books for class. The first was A Wrinkle In Time, which I loved and have re-read several times since. Another was Jurassic Park, which I thought was interesting. It was also my first time watching a movie after having first read the book. The third book I read was "Anne of Green Gables", which I absolutely hated. I don't remember ever actually finishing it and believe I simply accepted some low marks on that particular test. Looking back, I thought maybe I was a bit harsh. Perhaps my revulsion was simply having the content about a character I had little in common forced on me. I'm glad I gave this book another try. Anne (with an "e", as she frequently points out) is an 11 year-old Canadian orphan. She is small, skinny, and has striking red hair. She was adopted by Marilla and Matthew Cuthbert. And my, they got themselves in to some trouble. At least their house is not dull. Anne is full of fiery passion. Her highs are supreme. Her lows are crippling despair. She can talk non-stop about nothing for hours if you allow her. She loves fully and holds long grudges resentfully. There is no middle ground. This book was published over 100 years ago. If Anne was alive today, we'd probably classify her as bipolar and she'd be a prime candidate for Ritalin. This being 1908, Marilla must make do talking Anne down to a humble equilibrium. She has mild success and secretly admits she prefers Anne's zany ways. There are so many sublime examples of Anne embracing life so fully. Diana, the young girl next door about Anne's age, Anne immediately declares her a bosom friend, and swears her undying love forever within 3 min of meeting her. Diana obliges. Then they actually are best friends forever. Some of the most touching moments are with Matthew, Anne's adopted father. He is very quiet and perfectly happy letting Anne handle both sides of the conversation, which Anne is also content to do. An hour later, both sides are satisfied with the heavily lopsided conversation. Matthew is a wonderful "kindred spirit" says Anne. He is so fully smitten with Anne that he just does not know what to do. His quest to buy Anne a nice dress was tearfully quaint. There are a few difficult passages due to century-old vocabulary, but it is worth working through them. I can see why this book is a classic. Anne's ability to find wonders in most trivial things mixed with her tendency to speak her mind are characteristics that are always interesting. I have no desire to read the numerous sequels. This book completely ran out of steam as Anne got older and starts dealing with the trials of life. For those of you who are long, long time fans.... apparently, a long-lost "Anne" book was found and released as late as 2009. I hope my work still has interest half a century after my death. I am pleased I gave "Anne of Green Gables" another chance. The story is so much better when one can simply experience it and not worry about writing book reports or taking a test on it. I believe Anne Shirley would agree with that statement. 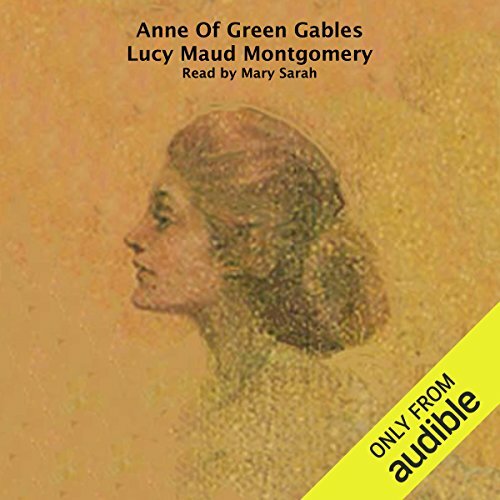 Discuss Anne of Green Gables in the forums.